Somehow I missed this product from google. 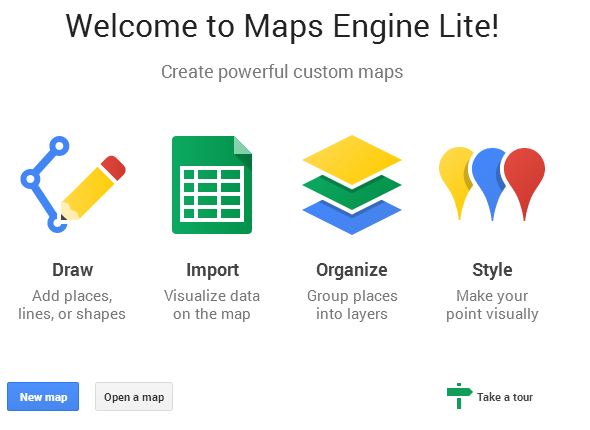 It gives you a nice front end for doing map related stuff (draw areas, pins, import data etc). The API looks pretty good too, I’m going to need to check it out.